Outgoing Microsoft Chief Executive Steve Ballmer dished Tuesday on a new touch-optimized version of his company's Office suite headed for Apple's iPad. 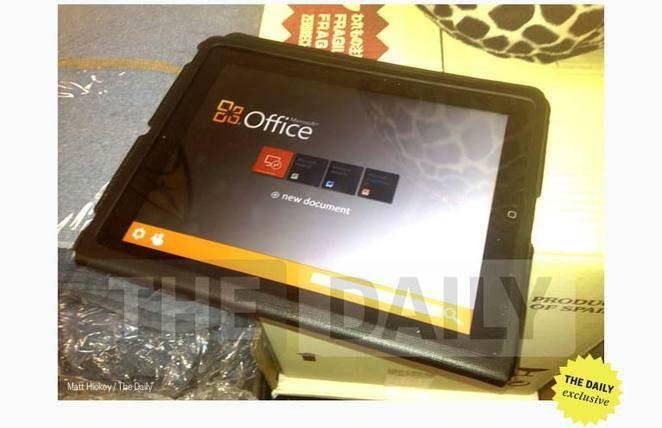 The company apparently plans to release a touch version of Office for its own Windows platform first, after which the software will come to iPad. Ballmer revealed the in-development software while speaking at a Gartner event in Florida on Tuesday, according to The Verge. Microsoft revealed an official Office 365 app for iPhone in June. But that application was not designed to take advantage of the larger display of Apple's iPad. The current Office application for iPhone requires users subscribe to the Office 365 service. That grants users access to Word, Excel and PowerPoint documents on the go. A more complete version of Office for iPad will arrive once Microsoft has completed its "touch first" interface for the suite, Ballmer revealed. The exiting CEO did not give a timeframe for the software's launch, but did say that development is "in progress." Ballmer's comments are Microsoft's first official confirmation of a version of Office made for Apple's iPad. There have been previous rumors and even leaked screenshots for years, suggesting the software has been in the works for some time.